I took ownership of multiple levels, taking them from concept and white-boxing to playtesting and iteration. I am currently working with artists to bring levels to final polish. I developed puzzles within these levels, using a moving clockwork environment to create wonder and challenge. During Pre-Production I worked on various prototypes with the goal of finding fun mechanics and to get an idea as to their costs in order to save time in future development. 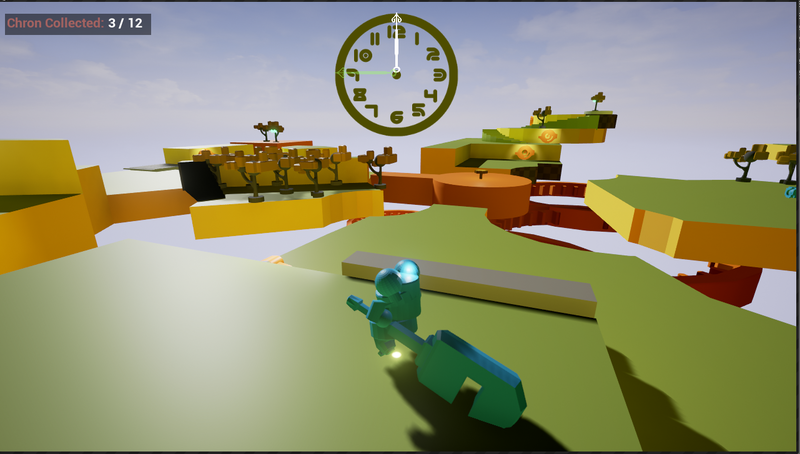 I worked on various Unreal Engine 4 prototypes with the goal of finding fun mechanics and to get an idea as to their costs in order to save time in future development. I worked on designing, implementing and testing levels in the game. I focused on creating a well paced experience that builds up to multiple “wow” moments that utilize the moving environment. An interesting challenge I worked through was finding fun ways to reuse a single mechanic in unique ways in order to limit the games scope. To achieve this I iterated many different levels with the goal of finding fun interactions or engaging moments and then integrating the ones that worked into the game. I worked with my team’s artists to transfer the whiteboxed levels I designed into a professional quality product.